[NYC] Totto Ramen - My Favorite Ramen in NYC so far! Probably my favorite ramen shop in the entire world is Totto Ramen. Watanabe Ramen in Tokyo, however, is a very close second. 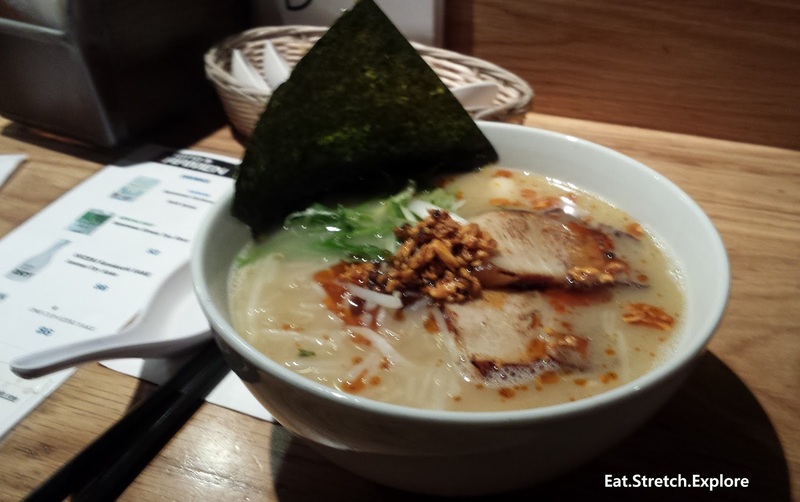 If you find yourself in New York City, make sure to check out Totto Ramen. It's nearby Columbus Circle and a few blocks way from the Times Square hubbub. Remember, Totto is CASH ONLY, so come prepared! If you don't, you have to use one of those sketchy ATMs in a creepy alley. This shop is really small, very reminiscent a ramen shop in Tokyo. There are about 20 seats, including seats around the bar. If you go in a group larger than 4, you'll definitely need to split up your party...and, actually, if you go in a group larger than 2, they'll ask you if you want to split your group. You'll likely have to wait a while. I think I usually have to wait around 2 hours to get a chair. The only time I got in under an hour was when I went at a really random time on a Thursday in the middle of winter. I think it was something like 3:15PM and it was snowing, but we still waited about 45 minutes. I heard the wait is a little shorter since they recently opened a second shop around the corner from the original shop. I haven't been to the new one, but I'm guessing it's a similar setup. The best thing about Totto is the broth is a chicken broth. My friends and I have discussed this at length since most of us cannot handle the super-rich pork broth at other ramen places in the City. The broth is seriously what wins it for me. I can order whatever I want and don't feel restricted because of the broth choices. I typically have to order a black broth because it either does not use or uses less pork. Also, unlike a lot of bad ramen places I've tried, the broth is not overly salty. It's still salty because of the nature of the food, but it's not to the point where I can't eat any of it. I usually order Totto Chicken Paitan Ramen ($9.75). It's plenty of food for me and usually whoever eats with me gets an extra slice of char siu pork because there's too much meat. I have tried the Totto Spicy Ramen ($11). It's not overly spicy, so don't worry about that. I just prefer the other option because I'm a poor student, to be completely honest. 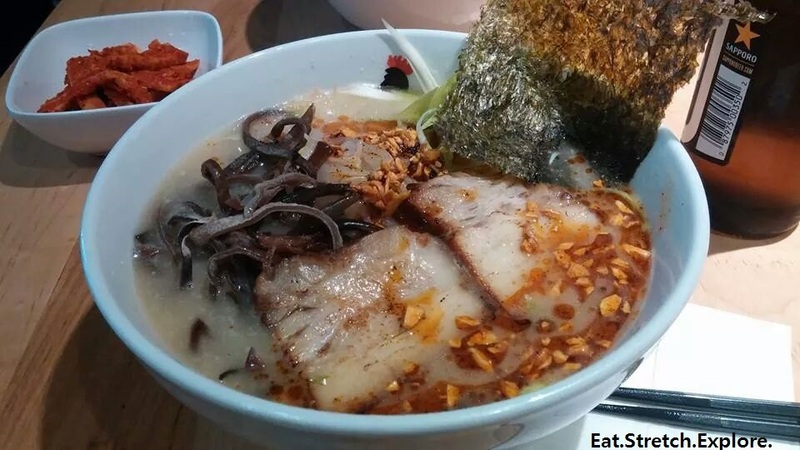 There are tons of toppings you can add to your ramen like egg, bamboo shoots, corn, avocado, seaweed, extra pork, etc. The toppings are less than $3 each. I have also tried the char siu pork buns appetizer. It's pretty good, but I would stick to just ramen. Chicken Paitan Ramen with bamboo shoots.